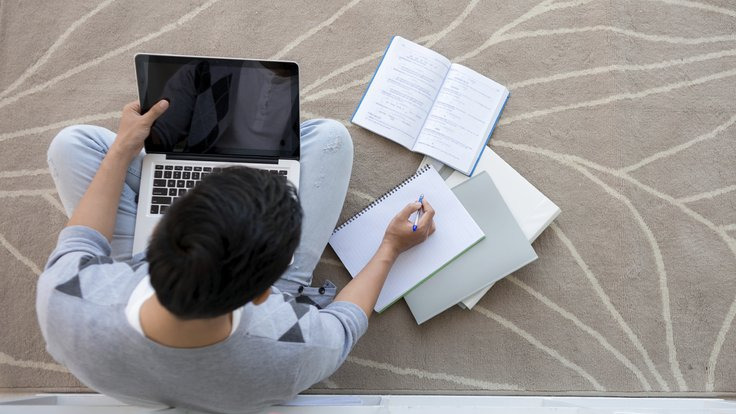 In order to assist smartphone consumers in making the best purchase decision, PROTESTE, the largest consumer protection association in Latin America, selected the most desired devices on the market and took them for a lab evaluation. 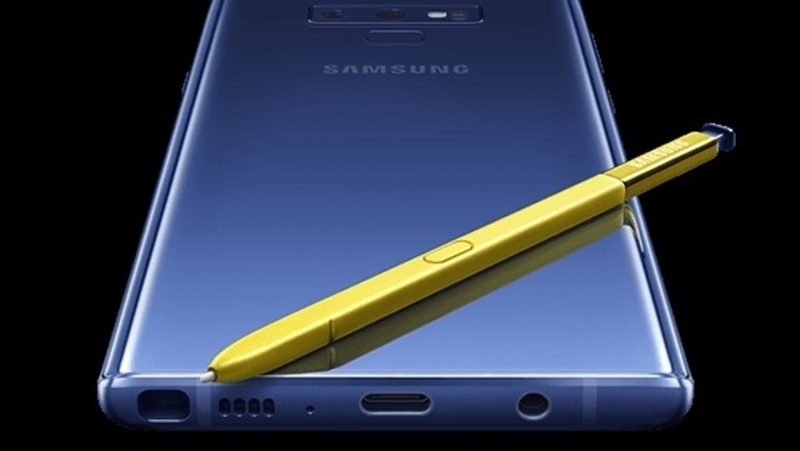 The Galaxy Note9 won the "Best of Test" label with 81 points, the highest score being obtained, in a scale of up to 100, reinforcing its status as the best device in the Latin market. The second and the third places were also occupied by Samsung’s devices: Galaxy S9 and S9+, respectively. 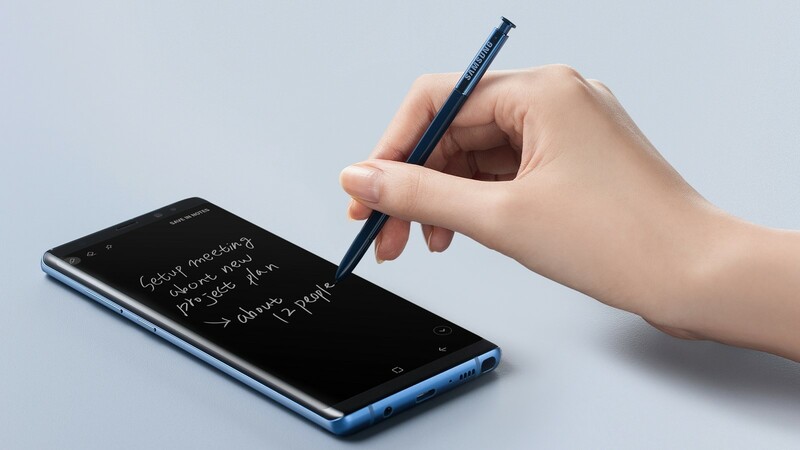 With features that appeal to consumers looking for safety, excellent performance, audio and video quality, the smartphone still surprises with advanced technologies within the S Pen, smart camera, long battery life, increased storage space, and countless other differentials. 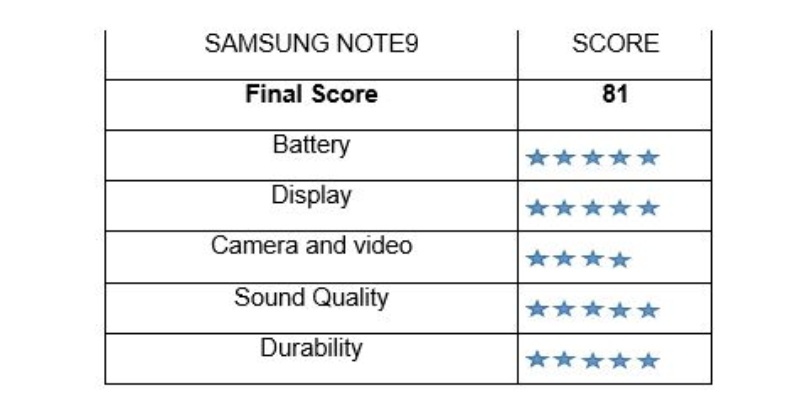 These features, along with the overall test results, were enough to raise Note9 to the top of PROTESTE's smartphone rankings. Samsung pioneered in 2011 with the creation of the first Note and dictated trends by betting on a large screen segment and offering the S Pen when no one else in the market believed. Facilitating consumer life and bringing benefits to day-to-day life is in the company's DNA. 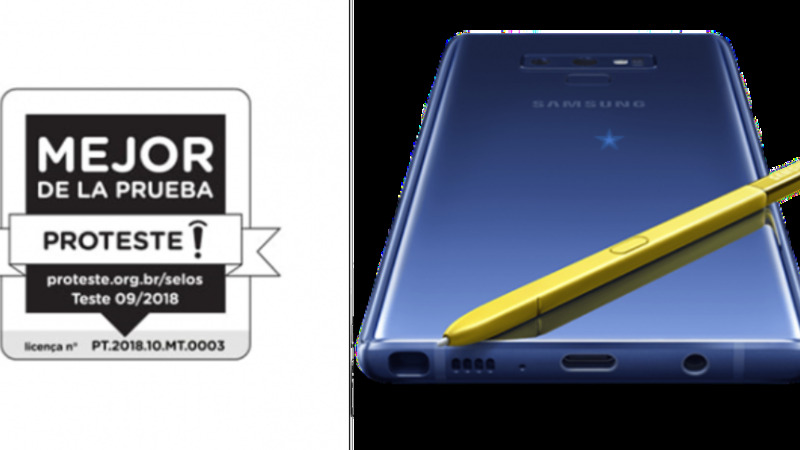 “We are delighted that Note9 has been recognised for its innovative differential by the biggest consumer association in Latin America. This quality label is important to demonstrate that the consumer has always been at the heart of our products and will always be our priority", says Douglas Issi, Samsung product manager for Latin America. To evaluate the quality of the frontal camera, the test simulates a selfie in an outside environment. The rear camera is tested in different light conditions, with and without zoom. To evaluate the sound quality, the devices are tested in a soundproofed space, where quality is measured by making calls. Another point in which the Galaxy Note9 stood out was resistance. For this test, a mechanical device was used to simulate several falls at the level of pants pocket (90cm). In order to test the resistance to water, the device was subjected to drizzles, besides immersions of the product in a container with water for a determined time. Finally, battery autonomy was simulated through a robotic arm, which performs daily tasks such as phoning or browsing the internet. "We take into consideration several quality factors that are extremely important to consumers. Note9 has even exceeded expectations of our technicians and achieved the highest score considering all tests already performed, says João Pedro Moreira, CEO of PROTESTE. Definitely, a smartphone worthy of consumer confidence, since it offers what it promises and a little more, "the executive adds.